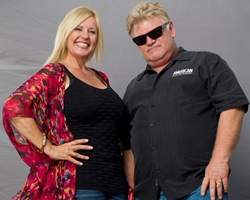 In October of 2015, Dan and Laura Dotson acquired the web portal StorageAuctions.net to provide a platform to the self-storage industry where they could easily list and sell their unpaid units. The website offers online bidding of listed items and unlike all other online auction systems, StorageAuctions.net is free to sign up and free to list and sell, and relies only on the buyer’s premium to fund the site. Another exciting announcement is the Dotson’s will soon be adding a feature that will offer storage auctioneers and management companies around the country the opportunity to conduct their existing live auctions while offering their units to be viewed and pre-bid on by live online bidders. This will bring more bidders to every auction and puts the small-town auctions on the same level as the lucrative big-city auctions.